Delo® Heavy Duty EP greases are multipurpose, high performance products specially formulated for plain and anti-friction bearing applications operating under high stress/high load conditions, coupled with high ambient temperatures typically found in heavy duty off-road applications. These greases are recommended for applications operating over wide temperature ranges. 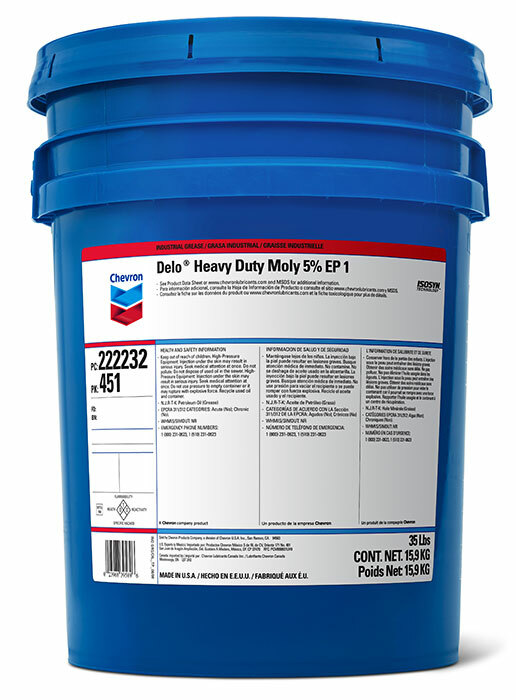 Delo Heavy Duty Moly 5% EP greases are not intended for use in high-speed bearing applications such as those found in electric motors due to the greases’ high viscosity base stocks formulation. When in doubt, please consult your Caltex representative or OEM maintenance manual for application parameters when considering a switch to these greases.